We are a BRC AA Grade certified packaging facility and supplier, and we’re very proud of that fact. We worked very hard to achieve it – and of course we haven’t mentioned it anywhere. Ever. Sometimes when we tell new customers we are BRC AA certified with a slightly smug grin we are met with a polite and nonchalant nod. If you don’t sell your products in the multiples, you probably don’t know or really care what BRC is and why it’s important for you, your product & it’s packaging. We’re here to tell you why it is. At PPP, we like to be upfront & honest. BRC is full-stop – a global food product safety standard and legislative requirement for some of our customers who will go on to be sold in Tesco, Aldi, Lidl, Dunnes Stores, and the like. We simply can’t print their packaging without all the processes that BRC certification underpins. But without getting too emotional, BRC is so much more than that. It’s shaped us a company, and it allows us to do our job to the very highest standards and provide a complete service to our customers. 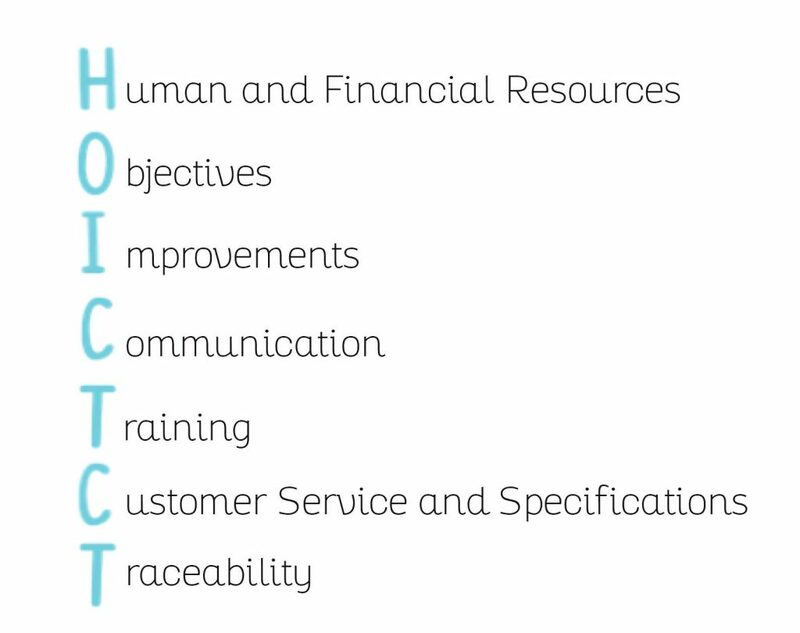 Maureen, our BRC champion, Quality Assurance Manager and wedding stationary extraordinaire (she’s a bit of a multi-tasking maverick), came up with the ridiculously handy acronym ‘HOICTCT’ to help everyone at PPP remember our quality policy. It may sound a bit like a mythical creature when said aloud – but it sums up what makes us special. Each of these ingredients is our recipe for success to supplying AA grade standard packaging to our customers. Every ingredient is meticulously monitored, acutely audited, and challenged regularly. To achieve AA standard at our last annual audit, we proved that every element of the HOICTCT acronym was operating without any non-conformances. We proved that our human and financial resources were functioning fabulously and our BRC and business objectives were clear, achievable, and S.M.A.R.T. We showed that achieving AA status hasn’t made us settle, and we continually work to improve our processes at every stage. We provided on-going evidence of our dedication to customer relationships internally and externally through all communication channels. We showed off all the training every staff member here has completed, and that everyone is trained to the same level. For example, we all had our HACCP refresher training last week – even the boss. We demonstrated that customer service and specifications encapsulates everything we do – from the very first enquiry to the end user having our packaging in their hands. And finally, we easily exercised that every piece of packaging we produce is as unique and traceable as a fingerprint. We go through an excessive amount of processes every day to ensure that the packaging we print and produce is at the standard that BRC requires. Not just because it’s a necessity for some of our customers, but an amenity to all our customers. If you want to know more about all the bits and bobs we get up to that help us achieve this standard everyday, you can check out the BRC packaging brochure here. We fall into the low-risk / basic hygiene category as our packaging is non-direct food contact. Essentially, we print your packaging in our high standard HQ, and when it gets to you your food will already be packaged in something else (polythene, vac pack etc) before you pop it in one of our items.